Danske Bank has launched a new Single-dealer platform, and joins the growing rank of regional banks investing in SDPs designed to protect and grow their client franchises, by creating a strongly branded client-centric ‘relationship channel’ for their clients. According to EuroMoney’s 2013 FX league tables, Danske are ranked 22nd globally, and according to Danske’s website are the top ranked FX bank in Scandanavia. 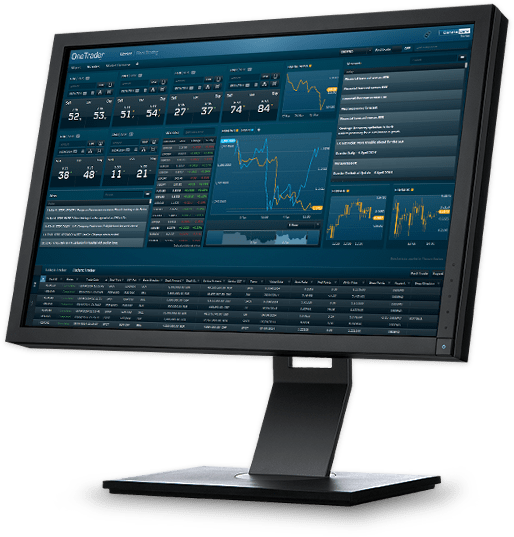 The new FX single-dealer platform called Danske OneTrader , is aimed at their corporate and institutional clients, and was unveiled last month at the ACI conference in Berlin. Talk of the new platform came just over a year ago whenDavid Steiner, Head of E-Trade announced their plans in an article in EuroMoney. The platform which is built entirely in HTML5 replaces Danske’s six-year-old java installed DanskeTrader platform, and according to the article, over time the new platform will be extended to equities and fixed income. Pre-Trade decision support includes market insight from Danske’s research portal, Reuters News and real-time and historic technical analysis charting. Overviews of other markets such as indices and precious metals are also offered although with delayed data. 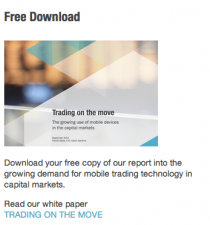 Trade Execution & Orders covers the usual spot, forwards and swaps one click trading, price ladders, plus the very useful addition of netting and block trade capabilities for larger corporate and institutional clients. Order functionality is supported for limits, stops and strategies. Post-Trade Services: Suite of post trade services with export capabilities including early take ups and rolls. My thanks to Forex Magnates for drawing my attention to the launch of the new Danske platform.